AnonD-86557, 07 Dec 2012how to save the incoming phone no to contactsJust press and hold the number you will get the option..!! Low alarm volume.. No stopwatch but has a timer.. Low resolution for video.. Low volume at ear speaker.. Cannot multitask.. Low screen resolution.. Other then that cool.. I bought them.. Anonymous, 06 Dec 2012Mukesh hi frndss new software update. and now asha 305 supproted youtube!! whch s0ftware sup0rt utube in n0kia asha 305? send me link. nokia 305 has streamig option , but when useing show "stream is not support in your handset ". Streaming setting added. So how I use this ? md, 06 Dec 2012youtube video is not supporting what should i do Hey frnds nokia asha 305 supports youtube and live tv frnds..
while using uc browser internet is good but not an out standing phone . 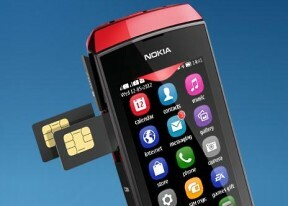 nokia asha 305 is a good phone in this price range. i have two sim cards and it is best for me.